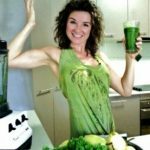 Drinking a green smoothie each day has been a part of my morning routine for over 5 years now. 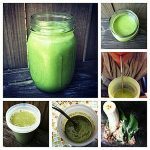 Just some of the health benefits that I have experienced from drinking green smoothies include a boosted immune system, an increase in energy, and an improvement in my mental clarity on a daily basis. If you haven’t already given green smoothies a try, I would strongly encourage you to do so! If you need a little more convincing, here is a list of the top 5 health benefits that green smoothies have to offer! 1) They promote natural weight loss. 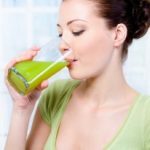 If you want to lose weight, then drinking green smoothies on a daily basis is one of the best things you can do for yourself. 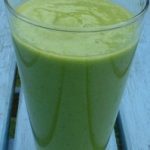 When I was trying to lose weight, I would use green smoothies as a meal replacement sometimes, or else I would drink one before a meal to help me exercise portion control. Now, green smoothies are an essential part of my diet, and they help me to maintain my weight loss. 2) Green smoothies can help you meet your daily quota of fruits and vegetables. It’s common knowledge that the American Cancer Society recommends that you eat 5-9 servings of fruits and vegetables on a daily basis. This is an essential component to preventing the development of cancer and other serious diseases. Green smoothies are a quick and simple route to providing your body with the nutrition it needs on a daily basis. Because the naturally sweet taste of the fruit masks the taste of the leafy green vegetables, you’ll never even think about the fact that you are literally drinking your greens! 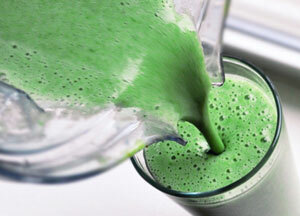 3) Green smoothies promote digestive health. When you blend fruits and vegetables together in a blender, the power of the blender breaks down the cells of the ingredients on a molecular level. This releases more of their nutritional benefits than chewing alone would, and it makes it easier for your body to absorb the vitamins and nutrients that it needs. 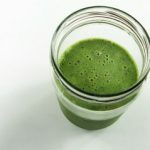 As an added bonus, green smoothies only take a few moments out of your day to prepare, and they are much quicker to prepare than making a salad. 4) Green smoothies are a great source of antioxidants. Green smoothies are an excellent source of both antioxidants and phytonutrients. These natural substances are critical for maintaining your body’s overall health, and they will also bolster your immune system, which means that you will enjoy better overall health. 5) Finally, green smoothies are going to increase your body’s energy levels. 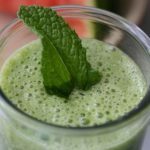 Due to their raw and organic ingredients, green smoothies are going to imbue your body with a powerful dose of vitamins, minerals, and antioxidants. Because fruits contain natural sugars, these sugars are broken down slowly throughout the day. This is going to provide your body with a continual stream of energy, without you having to worry about sugar crashes later.